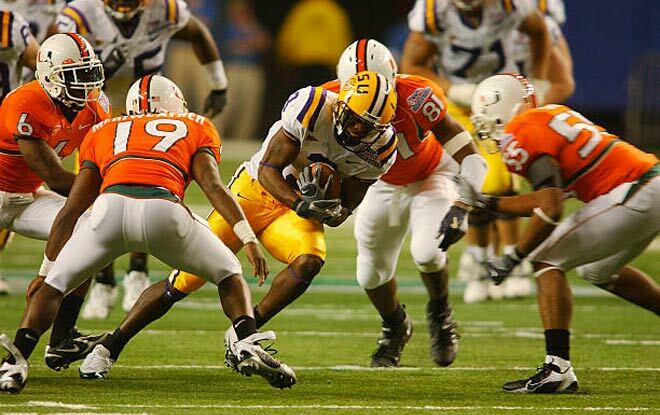 The Las Vegas sports betting online spread favors the LSU Tigers over the Louisiana Tech Bulldogs by 19 points. Everybody and their uncle will be there, this being the first LSU sold out game in two years. However, two individuals might be conspicuous by their absence. Left tackle Saahdiq Charles and tight end Thaddeus Moss are reported to be “very questionable” for Saturday. Were Charles to miss the game, that would force head coach Ed Orgeron to shift the offensive line. For the fourth time in as many games. The newest iteration of the LSU O-line will start Badara Traore at left tackle and keep Austin Deculus at right tackle. This is good news for Traore, who had previously lost the right tackle job precisely to Deculus. The esteemed former American football player, coach, and analyst Lou Holtz believes the Bulldogs are up to the task of beating LSU. Then again, he may be a bit biased. “Picking Louisiana Tech to beat LSU Saturday in Baton Rouge,” Holtz tweeted. “Not an upset. Upset is what my wife would be if I picked against her son. Last 2 years they lost to S. Carolina and Arkansas on the road by just 1 point on the last play of the game. They will not be intimidated.” Holtz’s son Skip is La. Tech’s head coach. If an 81-year-old can figure out Tweeter, he just may well be on to something. According to The Advocate’s Scott Rabalais, “LSU [is] occupying entirely new reality after Auburn, Miami wins — and there’s no turning back.” What, like Lost in Space? Or is it that those two wins created a rift in the space-time continuum? Tore the very fabric of the Universe? Actually, he means this LSU team has been much better than expected. Hard times seem to be a thing of the past. Now let’s see if they can live up to those Las Vegas sports betting online odds. 7 total yards per game. LSU is 3-0 SU and 2-1 ATS, so I guess that justifies the Las Vegas sports betting online spread. And the Tigers do have two wins against ranked teams. Somehow it seems they’re playing at half speed, though. LSU is going to have to go full throttle against the Bulldogs, otherwise La. Tech could pull the upset and cover the spread.